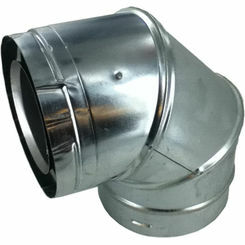 A double-wall fitting is a fitting that is used in conjunction with double wall pipe (for HVAC installations). 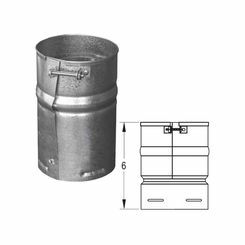 Typically, it is used with range (stovetop) and water heater applications. The ventilation is usually run from the stove up a wall and through the ceiling. The wrong kind of HVAC fitting can create a fire hazard, so this is why double wall pipe is so useful. 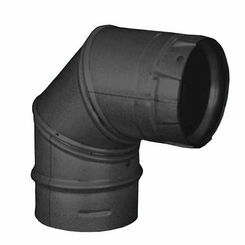 Double wall is an excellent choice for venting as it offers dual wall protection that creates an insulator to prevent the pipe from getting too hot. There are two layers of sheet metal so that the hot gases escaping up the pipe do not directly come in contact with the outside layer of the pipe. There are many different options when it comes to double wall fittings. They are available in wyes, tees, elbows, swivels, and B-vent tops. 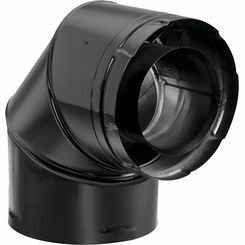 The variety of different fitting available allows you to be able to maneuver double wall pipe through any obstacle that you may need to move through our around. 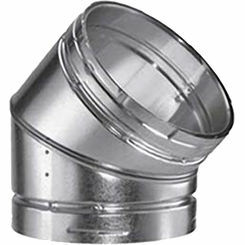 Oval caps are offered for you to be able to cap off a section of your ventilation system. Wye and tee fittings are very similar to each other in that they can help split a venting line. A wye is shaped like the letter “Y” a straight pipe with two openings on in and a third opening that branches off from it. A tee is shaped like a letter “T” and is a straight piece of pipe with a third port branching out on the opposite side. 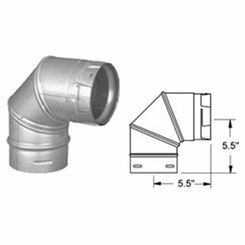 A double wall elbow is a product that has been designed to bend a venting line. These venting lines are available in thirty and ninety-degree elbows. 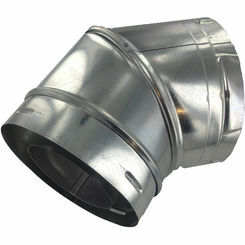 These are an excellent choice for moving the venting line to bend through a roof or bedroom. 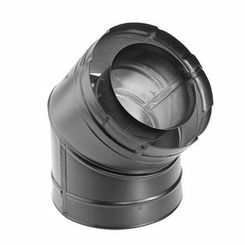 There are B-vent fittings (a specific type of double wall) that have been designed specifically for the use with fireplaces that use B-ventilation. 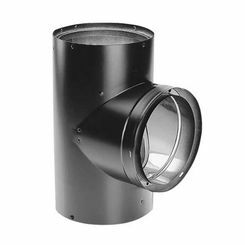 Also available are adjustable double wall fittings, which are ideal for situations that may need adjusting. These adjustable fittings are designed to slide in and outside of each other for easy use. 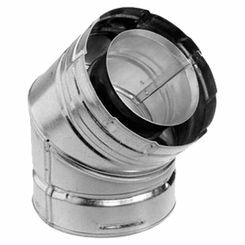 With fittings available from Duravent you can be sure to get all the products you need for your venting system, right here at PlumbersStock. 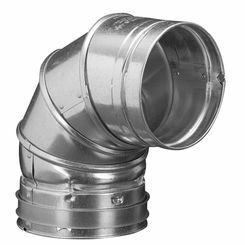 Venting systems can use a series of triple, double and single wall pipes and fittings so be careful to choose the right parts. 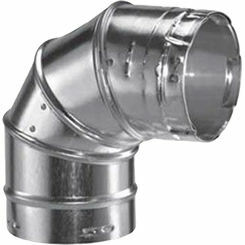 When these fittings are used properly, you are sure to have a venting system that is efficient and safe. 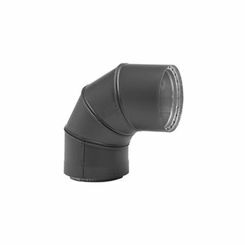 These double wall fittings are easy to install with the simple twist and lock technology, and all the fittings are designed to work with any double wall pipe of the same size. We offer all kinds of fittings online, so shop around.